The deadline for the feedback on Plan S implementation guidance ended on 8th February. According to the cOAlition S press release on 20th February, responses were received from over 600 individuals and organisations for over 40 countries. The respondents included researchers, librarians and libraries, publishers and editors, universities, learned societies, research funders, and other interested citizens and organisations. cOAlition S stated that the responses will be analysed and fed into an updated version of the Plan S implementation guidance. Also, an initial analysis of the feedback will be released in the spring and all responses will be made openly available. 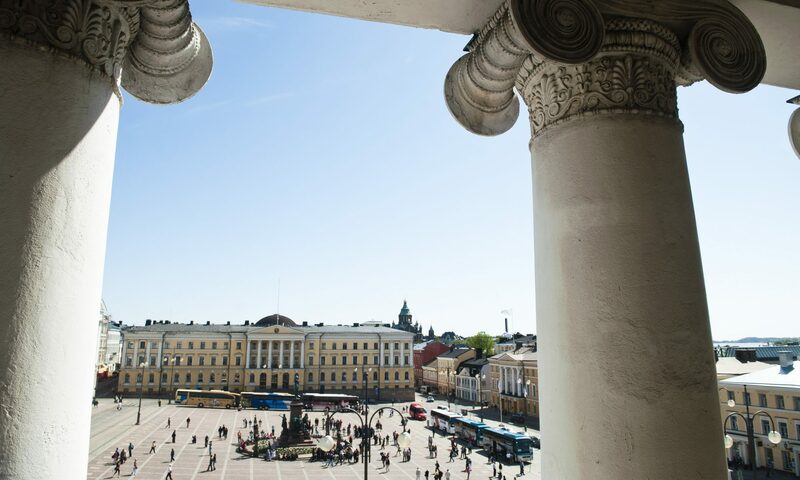 University of Helsinki is a strong proponent of open access to scholarly publications as part of the broader cultural and methodological (r)evolution that is Open Science. We welcome the Plan S as a concrete proposal on moving towards more socially responsible, technologically up-to-date, and financially sustainable dissemination of scholarly knowledge. Plan S, with its goal of making all scholarly journal articles published on or after 1.1.2020 openly available, is the most recent link in a long chain of policy measures. Just as funders are one part of the research system, Plan S is one open access effort among many. The Amsterdam Call for Action on Open Science was the first to set the 2020 deadline in 2016, echoed in recent EC recommendations, but the history of the current open access discussion goes at least as far as the Berlin declaration in 2003. It is important to see Plan S in this broader context. Plan S does not provide all answers for different scenarios yet, and it should be complemented by concerted plans and solutions by other stakeholder groups, such as universities and learned societies. Open access discussion didn’t start with Plan S, and it doesn’t end with Plan S either. That being said, the Plan S is uniquely influential because of the leverage funders have through their grants. Plan S has created momentum for open access in a way that the Amsterdam Call or the EC recommendations alone could have not been capable of doing. It is therefore crucial that stakeholders have a say in the way Plan S is implemented, of which the ongoing call for comments is a promising indicator. We especially commend the commitment made in Plan S towards implementing the San Francisco Declaration on Research Assessment (DORA). The effort to create new mechanisms for accumulating academic merit needs a significant boost in effort from all stakeholders. The global scholarly community has to get better at measuring excellence at the level of the content vs. the container. At the same time we also need to recognise the complexity of motivations directing researchers in their choices of publication platforms and try to address them. Prestige measured by impact factor and the like is just one consideration among many. Concerns of quality, community, and reaching a specific audience are often just as decisive, if not even more so. The cultural change required for Open Science to become mainstream cannot be forced top down. If it is to happen, as we trust and hope will be the case, it will happen through a multistakeholder dialogue, where individual, and especially early career researchers’ voices echo just as loudly as institutional and other leaders. Universities are the everyday working communities of researchers, and therefore have a lot to offer in bringing about change and dialogue among researchers and other research community stakeholder groups, while being themselves institutional stakeholders, carrying a big portion of the economic responsibility of the change. The definition of a transformative agreement should be clarified especially considering the conditions under which so called read-and-publish (RAP) and publish-and-read (PAR) can be considered to be Plan S compliant. The requirement to use JATS XML or equivalent is problematic, as many institutional repositories are not currently equipped with the capability and/or labor force necessary to fulfil it. If the cOAlition S insists on holding on to the JATS XML condition, institutions, just like publishers in the form of transformative agreements, should be granted a sufficient transitional period to put the necessary processes in place. This would preferably be facilitated by funder support, in the spirit of the promises made in Plan S: “cOAlition S intends to jointly support mechanisms for establishing Open Access journals, platforms, and infrastructures […]”. In the technical guidance and requirements, it would be better to describe the targeted functionality in lay-terms, rather than referring to specific technical standards. For example, it would suffice to demand the use of persistent identifiers (PID) in general, instead of mandating the use of one particular PID, the DataCite digital object identifier (DOI). Every assigned DOI comes with a price tag and in the 2019 DOAJ survey 27% of account holders didn’t use DOI’s mainly due to the cost. DataCite is a non-profit organization and DOI becoming widespread is a welcome development, but there are alternatives, such as URN’s, use of which shouldn’t be unnecessarily outlawed. Universities are to a large extent the ones which, at least in Finland, but also in many other countries, have been paying the bill for scientific publishing. The cost has consistently risen despite the Open Access movement of the 00’s and 10’s. This is not sustainable. Unfortunately, so far there is no reason to believe that Plan S will bring any relief from this trend. A likely scenario is that Plan S will drive the field towards mainstreaming the so-called Gold OA route, where the publisher collects an article processing charge (APC) per every published article in exchange for its services. Currently APC’s range from few hundreds of euros to as much as five thousand for the most prestigious, and therefore in the eyes of researchers, the most interesting journals. As the APC’s form an increasingly important revenue source for publishers, they will very likely feel more inclined to raise them on average, rather than to lower them. The Plan S implementation plan recognises the need to cap APC’s, but if this means that funders will cover APC’s only to a certain amount, there is in reality no mechanism or incentive to cap the actual APC fees. Instead, a situation is created where APCs are covered from multiple funding sources. In such a world, research intensive universities that wish to stay competitive will face pressure to cover the difference from their budgets. Instead of / in addition to creating caps for APC’s and trying to regulate the market, the research community could focus on creating a healthier and less concentrated market for scholarly publishing. In such a market, researchers (i.e., the customers) could make publishing decisions based on e.g. quality of service, vs. prestige measured by some narrow metrics prone to manipulation. Making sure that institutional repositories providing Green OA services together with new publication fora, such as university presses, have a level playing field with big commercial publishers is crucial in bringing about a buyers’ market. This requires commitment to the principles of DORA, tools to execute them, and also government level engagement, such as from ministries of education and research, that drive top level research policy decisions.